All Entries Tagged With: "Wilson College"
Susan Setta, associate professor of philosophy and religion, served on the faculty at Northeastern University in Boston for 40 years. 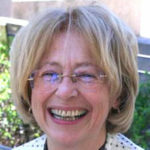 She was a founding member of the Women, Gender and Sexuality studies program at the university. 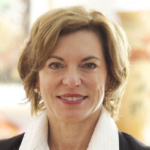 Pennsylvania Commonwealth Court has dismissed a lawsuit filed by alumnae of Wilson College in Chambersburg, Pennsylvania, that sought to reverse a decision by the Pennsylvania Department of Education permitting the college to become co-educational. Wilson College Women, a group of alumnae, former faculty members, and other friends of the college, asked the Pennsylvania Department of Education to reverse the decision. But the state agency has now put its stamp of approval on the transition to coeduation. Wilson College in Chambersburg, Pennsylvania, has announced a 41 percent increase in new students who have enrolled in its traditional undergraduate college. There is a total of 334 students enrolled in the traditional undergraduate college. Men are 8.4 percent of these students. Beginning this fall men of traditional college age will be admitted to Wilson College in Chambersburg, Pennsylvania, as commuter students. In the fall of 2014, men will be admitted to the residential college. The goal is to raise enrollments to about 2,000 students. The board of trustees of Wilson College in Chambersburg, Pennsylvania, met for two days from November 30 to December 1 to consider several proposals, including one to institute co-education for all programs. But the decision was put off for at least a month. In order to reach ambitious enrollment goals, the women’s college in Chambersburg, Pennsylvania, may consider enrolling men as students in its residential college. 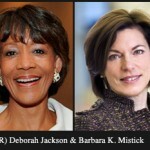 Deborah Jackson was appointed president of Cambridge College and Barbara K. Mistick will become president of Wilson College on July 1.